What I'm struggling with is the under-23 Team North America. This is the team that will star Conner McDavid and will compete against Team Canada. I love best-on-best tournaments when I can get 100% behind Canada as we take on other nations. And the two countries I love to beat most are Russia and the United States. I'm still trying to wrap my head around this tournament, I just wish they hadn't fiddled with the basic premise by introducing the under-23 Team North America. It alone has made me care much, much less about winning this tournament than an Olympic gold medal. This is not to say I won't be watching. As an NHL fan, there will be general curiosity, and I'll likely tune in. I just won't really care if we don't win it all, and I'd never say that about the Olympics. 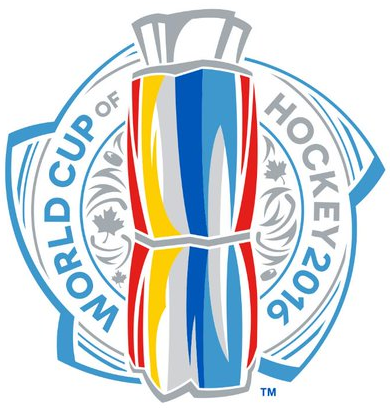 What do you think about the World Cup of Hockey? Guys my age grew up in the Jordan era. We really, really liked Mike. To most of us, Michael Jordan is the greatest NBA basketball player of all-time. Kobe Bryant's NBA career began in 1996-97. That season, Michael Jordan led the Bulls to the NBA title. With Jordan's career fresh in our minds, nothing Kobe did would ever measure up. Then, in 2003-04, LeBron James debuted for the Cavaliers. Now, at 30 years of age, after his fifth NBA finals appearance in a row, real debates can be had. Is LeBron as good, or better, than Jordan? Maybe! Kobe has been squeezed. He's the lynch pin between Jordan and LeBron, and as stellar as he was, he wasn't as good as either. I'm an unabashed Toronto sports fan. I've been root, root, rooting for the home teams for as long as I can remember. 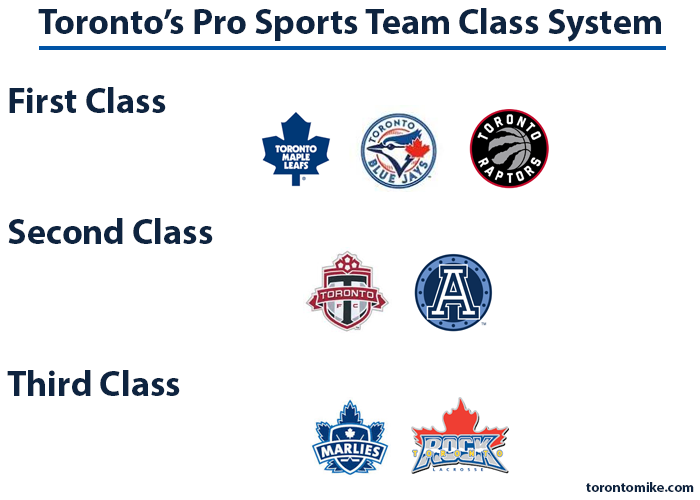 This past month has reminded me of the three-tiers of pro-sports in Toronto. There's group A, consisting of the Leafs, Blue Jays and Raptors, and group B, composed of TFC and the Argos. There's also a group C, which includes the Marlies and Rock. When a team in group A makes the playoffs, it's a big deal. Most of the city gets incredibly excited and rallies behind our boys. I personally won't miss a minute of Leafs, Blue Jays or Raptors playoff action if I can help it. When a team in group B makes the playoffs, you're happy, but there sure isn't a buzz in the city. TFC recently played their first playoff game ever, and if you weren't paying attention you likely missed it. I actually tuned into 3 minutes of this game before realizing we were getting trounced and I didn't really care. The Argos played a semi-final game yesterday, and if it wasn't for a few tweets I saw, I still wouldn't know what happened. And don't get me started on group C. I'm mildly curious about the Marlies because I'm interested in how Leafs prospects like William Nylander are performing, but I couldn't tell you how many titles the Rock have won or when they last won without Googling it. So yes, TFC and the Argos recently lost playoff games, but this city barely noticed and hardly cared. But when one of the big three make it, you won't be able to ignore it. Yes Toronto, we did have a CBA franchise from 1983 to December 1985. The Toronto Tornados played out of Varsity Arena before leaving for Pensacola, Florida. Fun fact: in the Tornados' only playoff appearance, they lost in the first round to the Albany Patroons, coached by Phil Jackson. 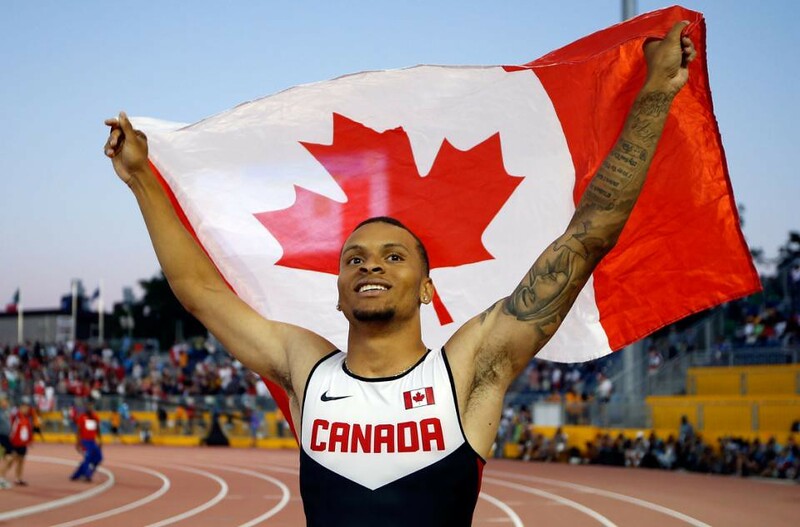 It seems like Andre De Grasse has come out of nowhere. The 20-year old Canadian only started sprinting in 2012, and a mere 3-years later he's a bonafide threat to Usain Bolt and Justin Gatlin in the 100m. Last night, we saw him win gold in the Pan Am Games with a time of 10.05 seconds. He recently ran a wind-aided 9.75 to win the NCAA championship and is the first Canadian to legally break the 10-second barrier in 15 years. And remember, he's just twenty and three years into this sport. Next month he'll be at the world championships in Beijing to take on the elites, Justin Gatlin and Usain Bolt. He's not there yet, but he's rapidly improving and if he ever gets that start right, he'll consistently run under 10-seconds. He's also pretty awesome in the 200m. Canada hasn't had a world-class sprinter since Donovan Bailey and Bruny Surin. This is exciting. I watched every minute of last night's gold medal baseball game between Canada and the United States. No, it wasn't on television, but a live stream was readily available here. I Chromecast it to my television screen and settled in for a great night of ball. With the game tied at 4, it went into extra innings. 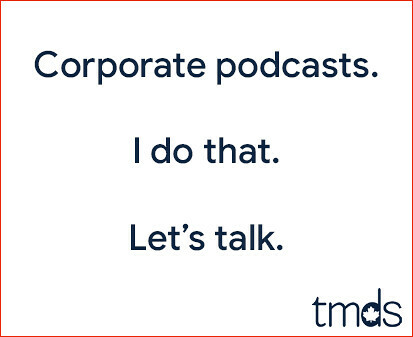 That's when things got a little weird. International baseball has this bizarre rule where you start extra innings with runners at first and second and lead off with any part of the lineup you desire. Crazy, eh? It reminds me of slo-pitch tournaments where we start extras with a runner on second base and one out, but that always made sense because another game was scheduled to use the same diamond right afterwards. Once I wrapped my head around this little twist, I watched the United States score two runs in the top of the 10th and hoped for the best. That's when I witnessed my first ever walk-off failed pickoff play. The camera angles for this game were less than ideal. On this final, exhilarating, gold medal clinching play, I didn't even know we were sending the winning run in from third. Suddenly, while I was still celebrating the tying run, there was a play at the plate. I've never seen anything like it. Here's how it all went down. Crazy! Meet John Wells, Jim Van Horne, Michael Landsberg and Terry Leibel from your new TSN. I watched the 2012 Olympics semi-final match between Canada and the United States from the airport. I was on my way to Amsterdam, and the match was on in one of the airport bars. Dozens of us collected around the screen and shared outrage when suspect refereeing resulted in a loss for Canada. That's when I started anticipating the 2015 Women's World Cup. Canada would be the host and it would be time for revenge. I wanted this. In total, Canada played five matches. I watched every minute of every one of those matches. A quarter-final loss to England was the end of the road for our squad, and that's when I lost all interest in the tournament. I only tuned in to the final between USA and Japan when I learned on Twitter it was 4-0. I stared at it as you'd stare at a car accident. I think I watched for about 25 minutes before bailing for good. As it turn out, I have no interest in the FIFA Women's World Cup, I only care about the Canadian team. When we bowed out, so did I. The 2015 NBA Rookie of the Year is GTA native Andrew Wiggins. This is the first time a Canadian has won the award. 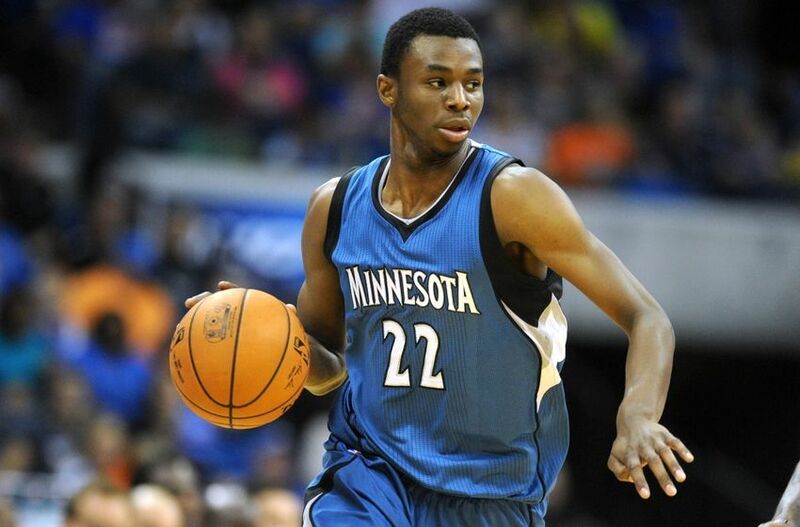 Wiggins averaged 16.9 points and 4.6 rebounds while playing all 82 games for the Minnesota Timberwolves.